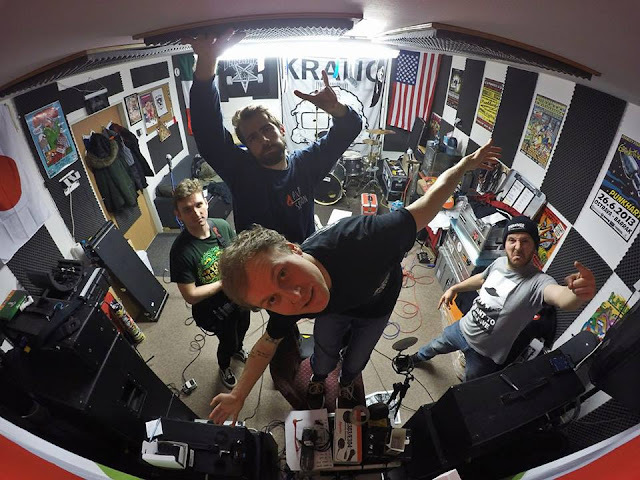 KRANG are a skate punk band from the Czech Republic which began life in December 2014 when 4 friends who played in other bands decided to start a fun side project. Inspired by the 90's skatepunk scene (Millencolin, Descendents, Bad Religion etc), they soon released debut ep OK USA! and followed it with an album called Baddest Brain. After honing their sound with tours of such far flung places as Mexico, Central America, Israel and Japan they've recently released sophomore album Singalong.